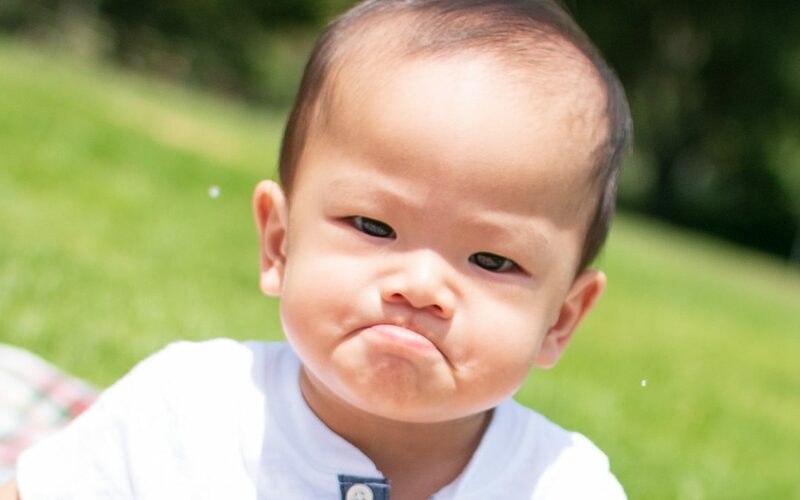 This is how it feels when you need to sell tickets and you don’t already have a website set up. Or, you have a website, but making changes isn’t simple. Don’t feel constrained. You can sell tickets without a website. 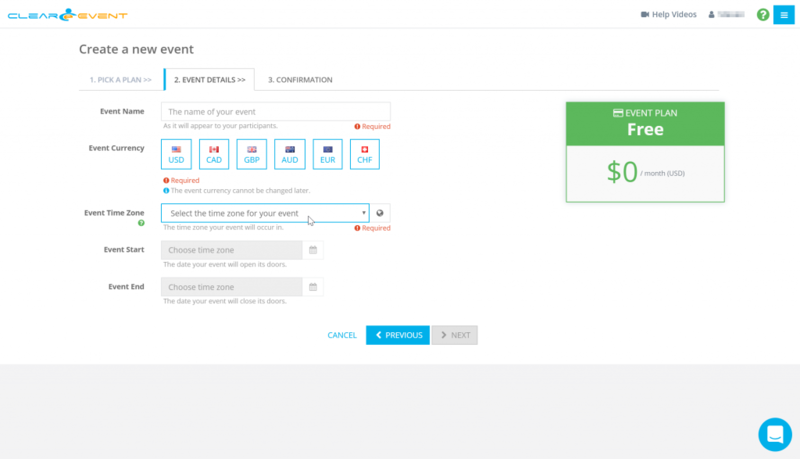 In less than an hour you’ll be selling tickets through ClearEvent’s included web app, branded for your event! ClearEvent provides everything you need to sell tickets. It’s all cloud-based so there’s nothing to download and install. ClearEvent also includes additional features to let everyone in your event know what’s happening and when. It’s easy and fast. There’s nothing to download and install. 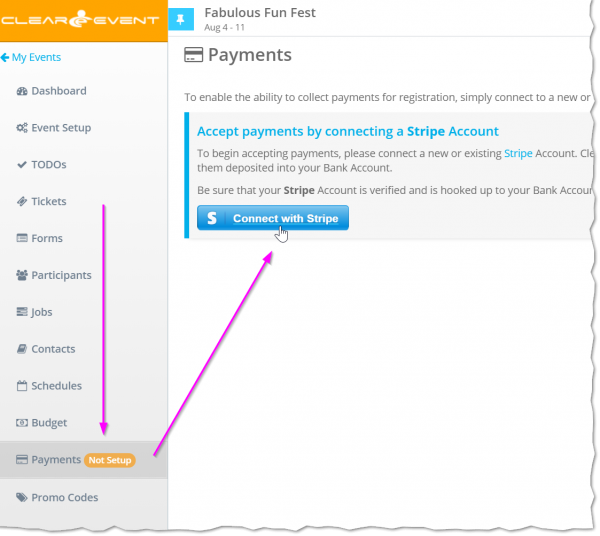 Best of all, ClearEvent includes a Ticket Purchase page (see following image) that is easily shared on any form of social media, email or even on an existing website. Here are the simple steps to follow to set up and sell tickets without a website. Set up your first event in ClearEvent. It takes less than a minute. ClearEvent software has easy-to-use screens with lots of help along the way, including built-in chat! Creating your tickets is very quick and simple. Helpful Advice: If you’re new to creating and selling tickets, use our built-in help articles to guide you. Just click the question mark in the green circle at top right of the page. Create as many different types of ticket you need (e.g. Adult, Child, Senior). For each one, enter the settings and details. Use the Preview button at the top right of the page to check on how things look for your ticket buyers. Before publishing your tickets, ClearEvent needs to know where to send money from ticket sales. We’ll set that up next. ClearEvent steps you through connecting Stripe. Stripe processes credit card processing for your ticket sales. You can connect an existing account or create a new one. It only takes about five min and you’re more than half way already. Once your Stripe account is connected there’s a simple security verification step to verify your event and you’re on your way to sharing your tickets. ClearEvent helps you apply branding, imagery and colors to all parts of the system your buyers will see such as the ticket purchase page. 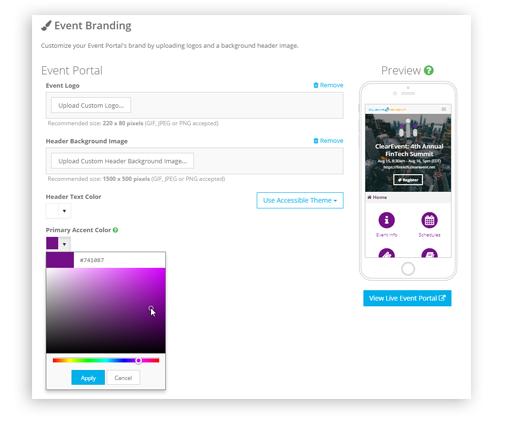 In the Branding section, add your logo, a high resolution banner image and select your theme colors to match your Web App to your event themes and promotional items. The Web App, also known as an Event Portal is closed initially. Now you’re ready to publish your tickets, go to Event Setup->General tab then scroll down and click Open the Portal. While you’re in Event Setup, you can enter more details about your event such as locations, and contact information. This all appears on the Web App and helps keep your participants fully informed about your event. (2 min) Publish your tickets – on your ClearEvent Web App! Time to publish your tickets which makes them available for sale. ClearEvent publishes your tickets to your beautiful customizable web app! You’re all set! Get the word out to your ticket buyers! 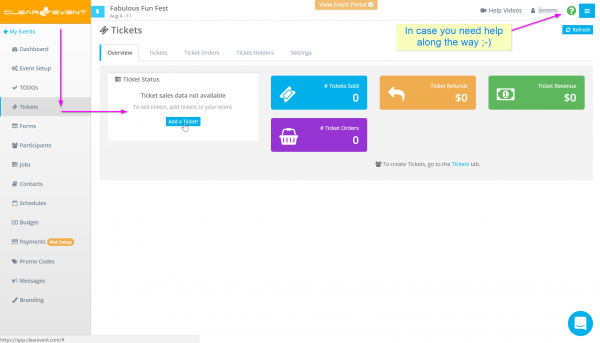 The ticket page, ticket groups and individual ticket types, even any page of your web app can be shared using a link provided in the ClearEvent Ticket section. Share your ticket purchase page and much more by sharing a link! How easy is that?! 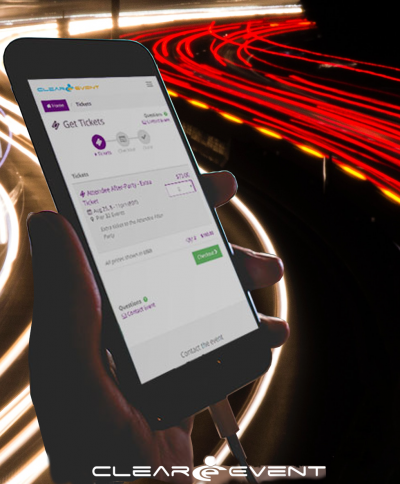 Your ticket buyers can purchase tickets on any device, at any time. ClearEvent emails PDF tickets to the buyer at the end of the transaction. As tickets are purchased, you can track everything on the ClearEvent dashboards, reports and a built in smart event budget. Nothing could be simpler. We’ve only scratched the surface of what ClearEvent can do for you. Keep everyone in your event up to date about your event using the ClearEvent Web App – share schedules, post messages. Keep your organizing team on track with planning tools, dashboards and reporting. Now your tickets are available for sale, explore the system, there’s lots of useful features to help you deliver a great event. Learn more at clearevent.com. Well done. In an hour or less you set up your tickets, connected your payment gateway, set up branding, published and shared your tickets. No website needed at all. Of course if you have a website, by all means, add links to your web app. The great thing is now all the event info is in one place and it’s easily updated by you or your team members in the ClearEvent system. As a conference planner, knowledge is key. Let us know the topics you’d like to hear about to help increase your event planning success, at customersuccess@clearevent.com. In the meantime, Happy Planning! ClearEvent is a ground-breaking cloud platform for event organizers that streamlines planning, logistics, collaboration and communications.